I'm loving these Designer Inspired Totes for ONLY $14.99 (Retail $34.99)! Grab your Krafty Chix EXCLUSIVE! You can't find this gorgeous tote anywhere else!! We know you gals. Our best selling tote is now offered in 5 colors. 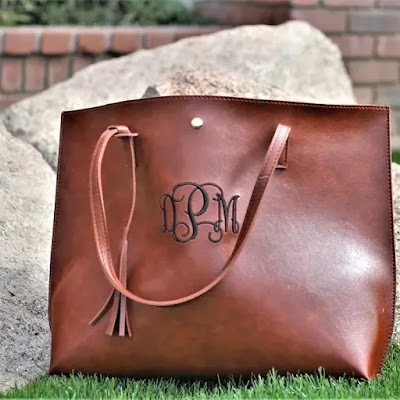 Personalize with your monogram. This is the perfect tote for spring and summer! Grab yours today!